A friend of mine from London AFOLs posted a video the other day of what was in the PAB wall at the Watford LEGO store. I was very interested and decided to go for a trip today to pick up some pieces. 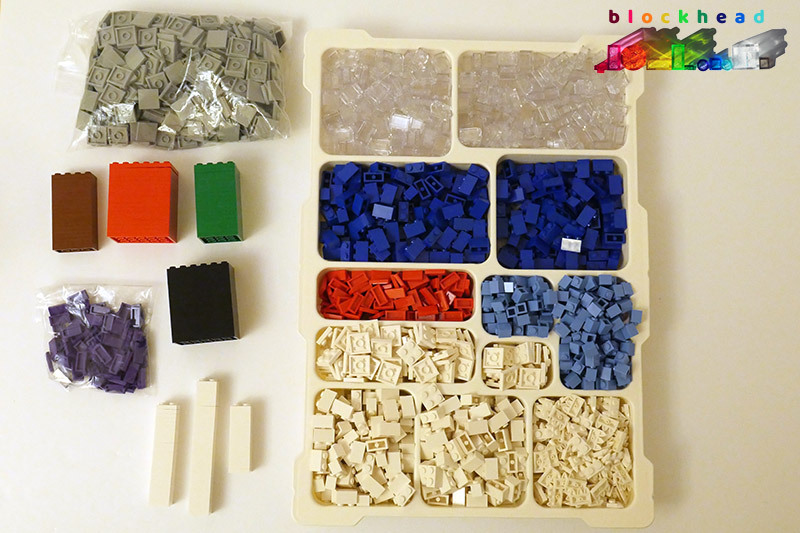 Two things which particularly attracted me to visit were the 2×2 bley tiles – always useful in my little city and for any spacey MOCs I might be contemplating. 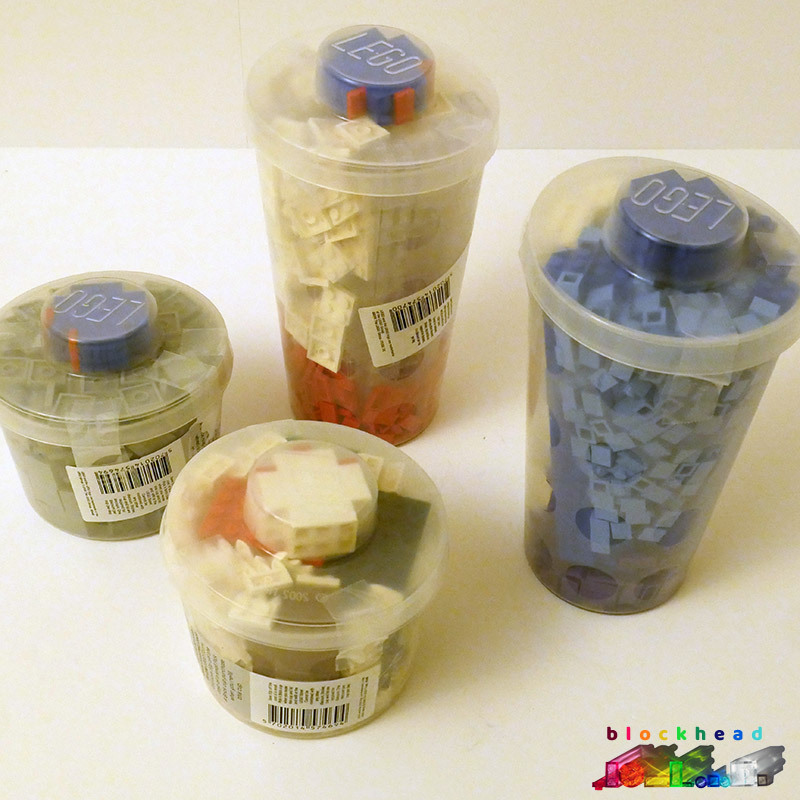 And the 1×2 trans clear bricks – ideal for microscale windows – heaven! I stuffed loads of them into my pots, as you can see. Well, actually I stacked them carefully to maximise the number I could cram in! 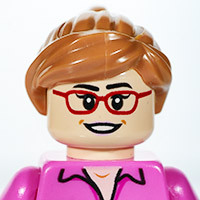 It’s always fun to see the LEGO shop staff when you’re doing that, they will often strike up a conversation and compliment you on your technique! Also of use were a load of 1×2 blue bricks – which will definitely come in handy for a project which has been on the electronic drawing board for a couple of months, but which now needs to be built. And also the pale blue 1×1 bricks, 1×2 white bricks and various other white plates. It was a very productive trip. I just wished I hadn’t had to spend so long in traffic jams getting there and back! Next time I might combine it with a trip to London on the train. We’ll see.